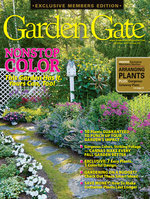 Are you hoping to attract cardinals, goldfinches or another favorite bird to your garden? 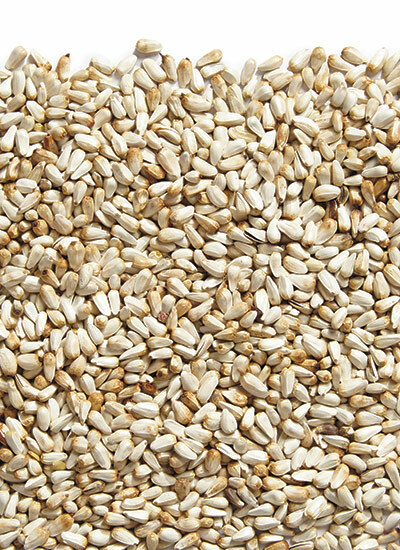 We’ll make it easier for you: Here’s an overview of the best kinds of birdseed. Setting up bird feeders in your garden is not only for the joy of watching the birds that visit—it’s also an important food source during seasons where food is scarce. So let’s walk through a few tips and tricks to make sure your feeders are filled with the best kinds of birdseed to attract and nourish the birds you love. You may have heard that once birds are trained to visit your feeders, you can’t stop or they’ll go hungry. That’s not true. But the biggest need for seed is in winter and early spring, when other food is in shorter supply, so it’s important to be especially attentive to the feeders at this time. Don’t get frustrated if they don’t show up right away when you put feed out. Birds find food by sight and may not immediately recognize your feeders as a food source. To help them, sprinkle some food on the ground where it’s easy to find near your feeders. Once you start getting bird activity, others will notice. If you change seed, you may need to mix seeds for a while until birds recognize the new food. Bird seed has a limited shelf life. If allowed to sit too long at warm temperatures, it can dry out and lose the oil content that makes it a great energy source. So only buy a couple months’ worth of seed at a time, or if you purchase in bulk, store it in a cool basement rather than a hot garage. You can also feed the birds with this Beautiful DIY Bird Feeder Wreath! The key to attracting the right birds is to fill your feeders with the right type of birdseed. Have you ever filled your feeders only to find the birds didn’t eat any of it? Or that they ate some and kicked the rest onto the ground, where it made a mess? It may have been the mix. 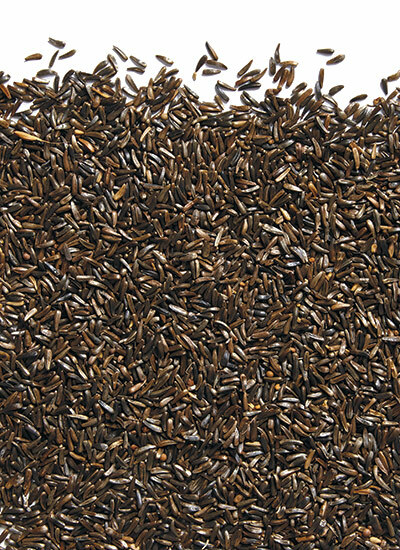 Some pre-mixed birdseeds contain fillers that birds don’t typically eat and that can sprout on the ground beneath your feeders, too. If you see milo, golden millet, red millet or flax in the list of seeds in your mix, avoid it. 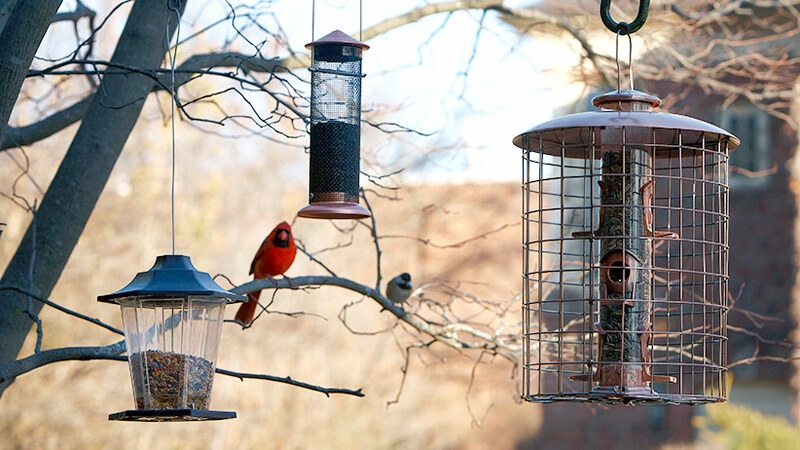 Try this great trick to easily refill your bird feeders! If you can’t find pre-mixed seed without any of these ingredients, you can purchase a single type of seed and make your own mix. This also means you can make a variety of mixes for each feeder and attract a variety of birds to each. 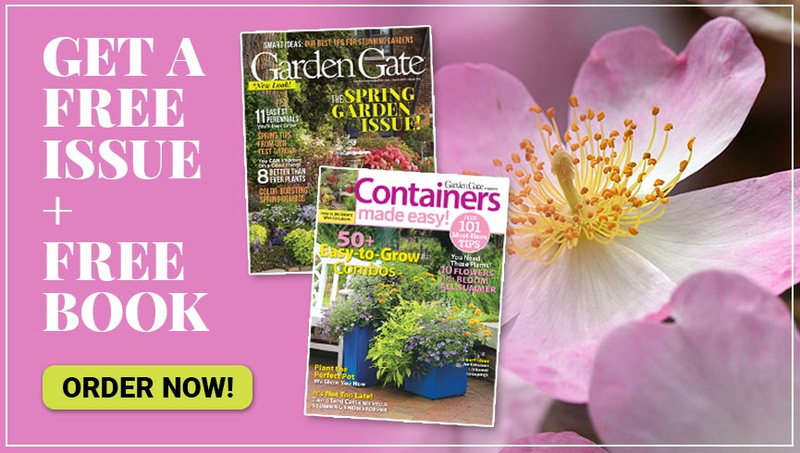 To help you decide which are the best kinds for your garden, scroll through the gallery below, and take note of which birds are attract to each seed. Happy birding! 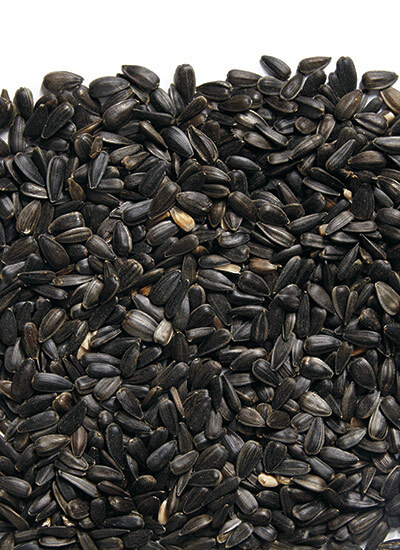 If you fed only black-oil sunflower seeds, you’d get plenty of variety at your feeder because so many birds like it. One drawback to this type of seed is that it can be messy. Birds crack the shells and eat the high-fat meat, leaving the hulls on the ground beneath the feeder. If this is a problem, you can also buy shelled sunflower pieces. This is typically a more expensive option, but may be worth it if you don’t like to rake up sunflower shells. Even though this tiny black seed is also called “thistle” seed, you don’t have to worry about it sprouting. The best way to feed it is with a special nyjer feeder with small holes for the seed. Fed this way, there’s not usually much waste. 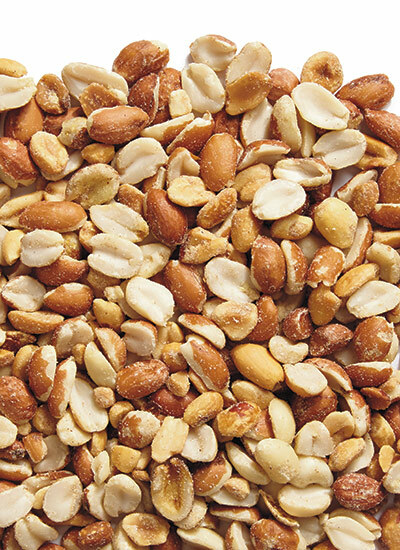 If you see seeds on the ground below your feeder, it’s likely the cracked empty shells. 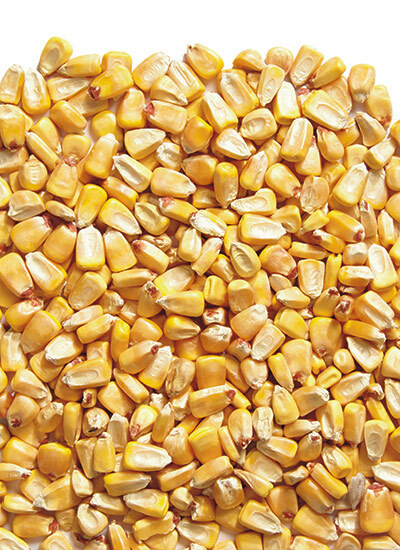 The birds that eat corn, either cracked or shelled, are mostly ground-feeding species. If you buy a mix with corn in it for your elevated feeders, it’ll probably be kicked to the ground. Corn is especially susceptible to spoiling in humid conditions, which can happen when stored in a plastic bag or fed in wet weather. Be sure to clean it up regularly so it doesn’t damage your birds’ health. 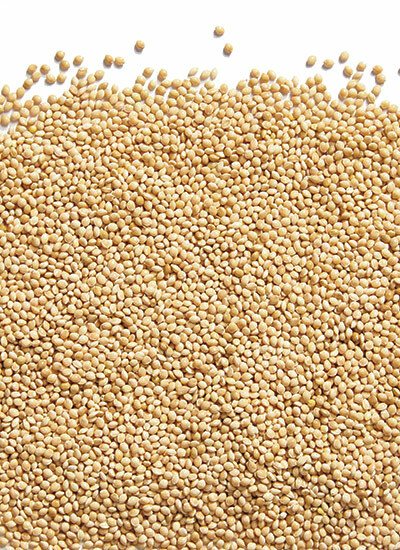 In a mix, white millet is a nice complement to black-oil sunflower seeds. Although the little seeds are often kicked off of the feeder as birds go for other seeds in a mix, it isn’t wasted. It’s popular with ground-feeding birds. You could put it on a platform feeder by itself, include it in a mix or just sprinkle it on the ground. Know that the more trees you have in your yard, the fewer ground-feeding birds you’re likely to have, so the less white millet you’ll need. Feed safflower in the same way you’d feed black-oil sunflower seeds—at an elevated feeder. Many of the same birds enjoy these seeds, but some people report that squirrels and house sparrows don’t seem to like safflower. 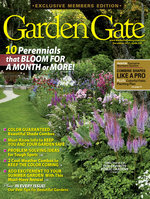 So if you feed this by itself in your feeders, you may be able to exclude some of those pests. This high-fat, high-energy food is especially helpful in winter when birds need that extra boost. Store peanuts in a cool spot to avoid spoilage, just as you’d do with corn.